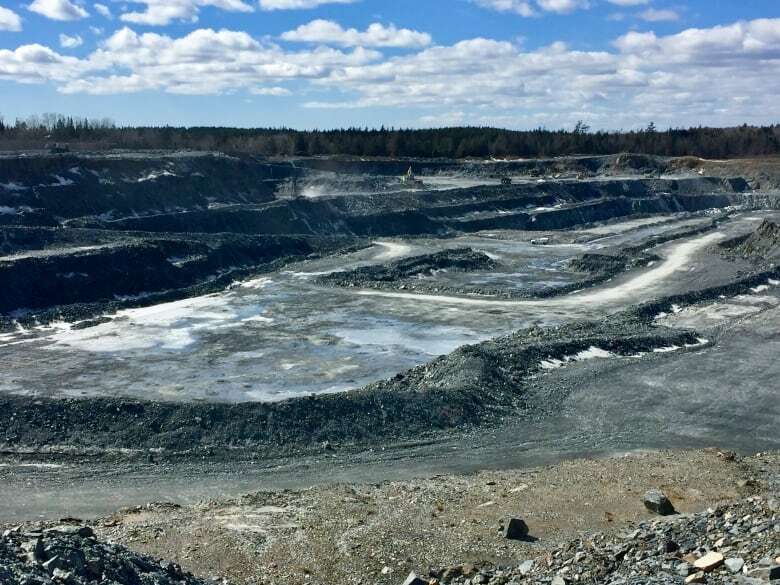 Atlantic Gold is still early into its six-year plan at its site inland from Sheet Harbour, N.S. The company has three more sites nearby that will come into production in 2021-2022, pending environmental approval. 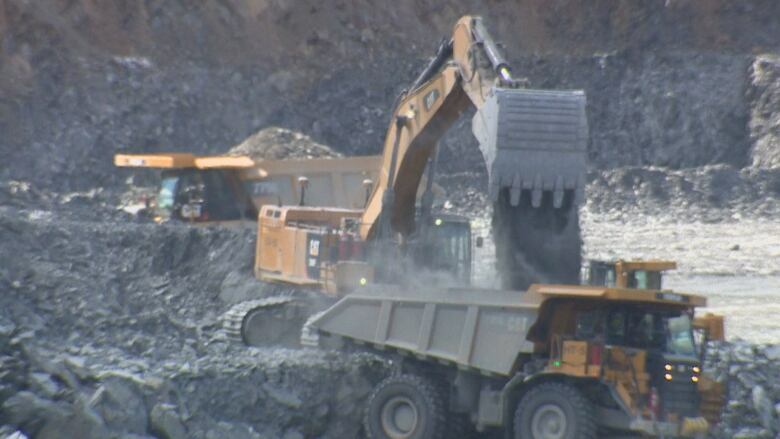 Close to $150 million in startup costs are now behind Atlantic Gold Corp. at its Moose River gold mine, a project now in full swing and which has brought hundreds of jobs to a remote part of Nova Scotia. 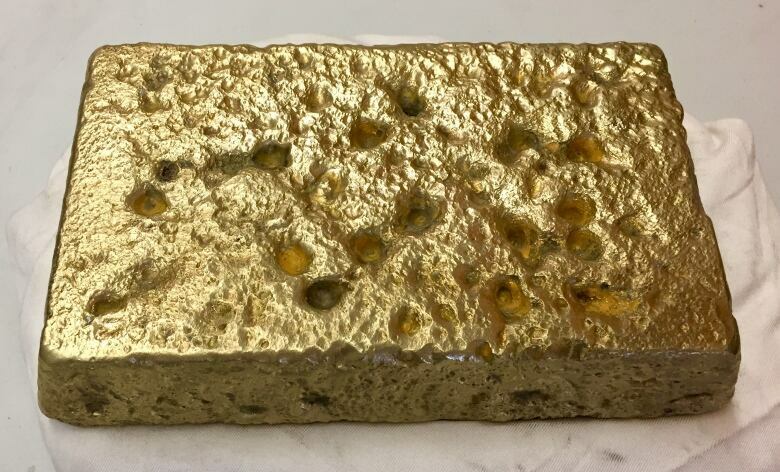 During the first 18 months of production at the open-pit mine roughly 40 kilometres inland from Sheet Harbour, N.S., about 200 gold bars, some worth nearly $1 million each, have been poured. 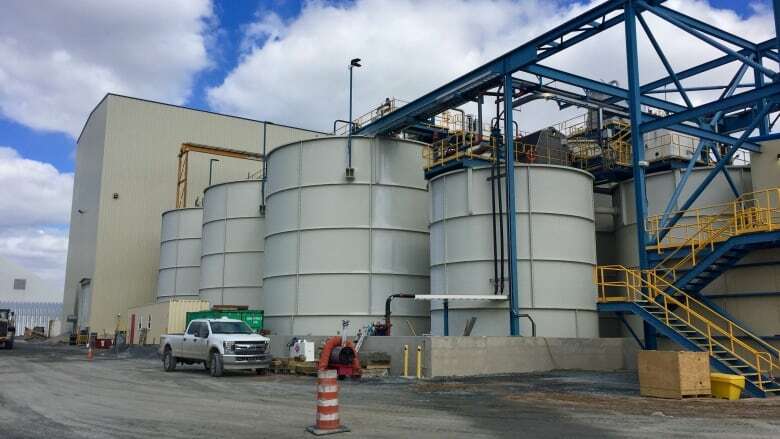 "In our first year of production we were actually able to surpass our 90,000-ounce goal and produce 90,500 ounces," said Craig Hudson, chief metallurgist with Atlantic Gold. "We're now looking at higher targets and an increase in our production." Atlantic Gold is still early into its six-year plan at the Touquoy site in Moose River. The company has three more sites nearby — Beaver Dam, Cochrane Hill and 15 Mile Stream — that will come into production in 2021-2022, pending environmental approval. That means gold mining in the area could continue into the late 2020s. Atlantic Gold is also actively exploring additional deposits in Nova Scotia. The Moose River mine has become a large employer, with 280 full-time workers at the site and an additional 40 to 70 contractors. Many are Nova Scotians who have returned to their home province after working abroad or elsewhere in Canada. "I got to spend some time working at mines in Latin America and South America, but now seven or eight years later here I am back in my home province about an hour away from where I grew up and I'm doing what I love to do," said Hudson, who grew up in Waverley, N.S., and studied mineral resources engineering at Dalhousie University. "A lot of our workforce has come back home from places like Fort McMurray, Calgary and Edmonton." The Touquoy mine is now 35 metres deep and will be mined an additional 100 metres down. Each day, 20,000 tonnes of material is trucked to a nearby processing plant, where the gold is extracted. The plant will also be used for the other mine sites as they come on board. In early January there was a leak in the tailings pipeline just outside the plant. A cracked gasket allowed 380,000 litres of treated sludge to escape. The company, which uses cyanide as part of its gold processing, said the spill was contained in a tailings pond. 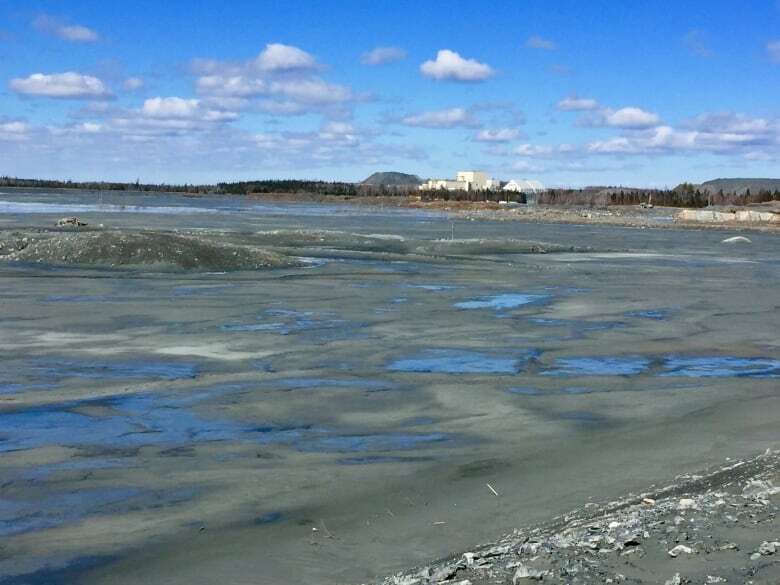 "That leak released tailings materials which were captured in a trench and also in a collection pond that was built for that purpose in that exact situation," said James Millard, Atlantic Gold's manager of environment and permitting. "That material did not leak to the lake [Scraggy Lake] or natural surface water bodies; it was contained in these engineered structures." Atlantic Gold immediately contacted an emergency spill line and notified the Nova Scotia Department of Environment. The plant was shut down for the day and the pipe was repaired. The cleanup and removal of the tailings began immediately. Still, neither the company or the Environment Department released the information until CBC News asked for it. 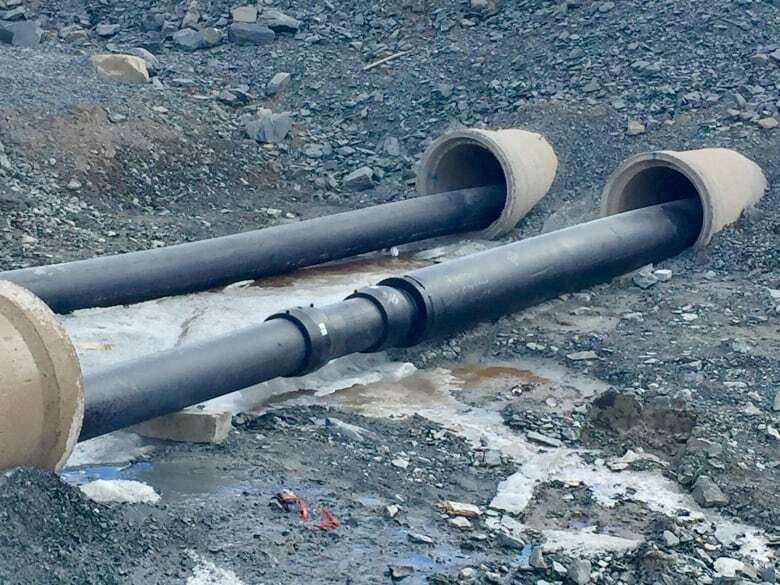 "You have to find that information out yourself and that's just irresponsible government behaviour," said John Perkins of the environmental group Sustainable Northern Nova Scotia. He said the leak so early into the company's production process is worrisome. The Environment Department said cyanide levels were below applicable guidelines, while arsenic levels were between twice and nearly four times background levels at the site. Moose River has a long history of gold mining. Gold was first discovered in the area in 1866 and in the 1930s an underground mine produced 26,000 ounces of gold, which was largely taken from quartz veins but also from open-slate quarries. In 1936, a roof collapse trapped three miners underground for 11 days. Two of them were rescued but one died.